Browse our large selection of elegant long prom dresses, and find the perfect long formal dress for your prom. At PromGirl you will find many long prom dresses and long prom gowns from the top formal dress designers. A long dress makes an elegant statement at any formal event whether it is a prom, formal dance, or wedding. 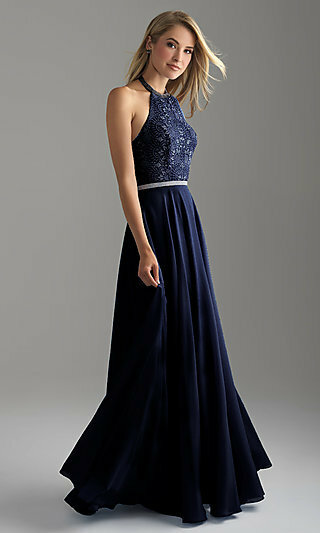 View the variety of long formal dresses to find your perfect look today. From fun and flirty tulle ball gowns to sleek and curve-hugging long dresses, we have the dress for you. 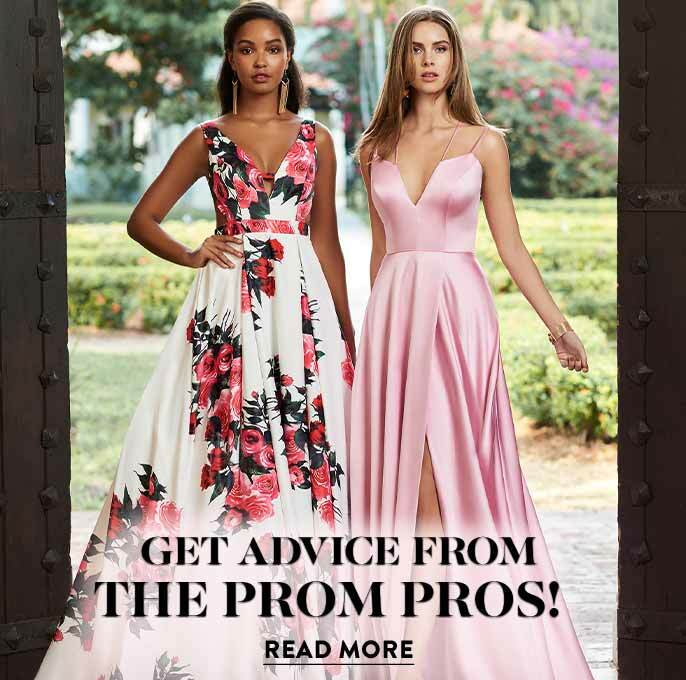 Shop the huge selection of long prom dresses, and you will find long prom gowns priced to fit every budget. Whatever the event may be, we have your perfect long formal dress. Looking For a Long Celebrity-Inspired Prom Dress? 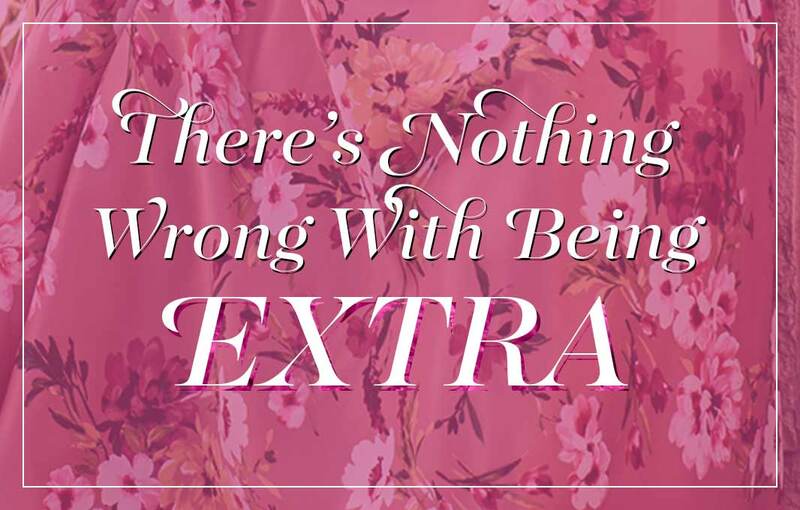 Want to sparkle and shine like a movie star? 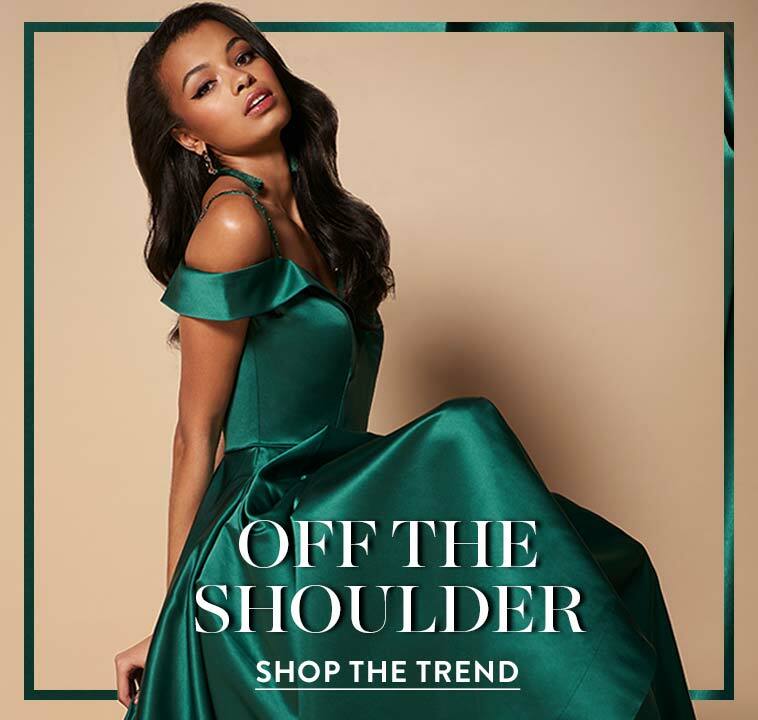 If it’s a glamorous runway look you wish to achieve, simply shop our long formal gowns, and you’ll be red carpet ready in no time. Many of our formal dance dresses are adorned with stylish lace, sequined or beaded bodices, or embroidered details to make sure you glisten like a movie star. 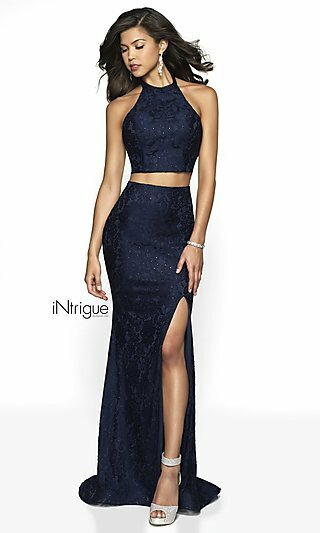 Whether you prefer a sweetheart bust, high-neck dress, or empire waist prom dress, this variety of long formal dresses offers a great selection to choose from. Headed to a military ball or date night with that special someone? This collection of long formal dresses has a look for any event. From trendy two-piece long prom gowns to long-sleeved dresses, we’ve got you covered. Need an edgier look for your special event? Rock one of our illusion dresses, cut-out dresses, open-back dresses, or deep v-neck dresses.. The long formal dress is an elegant and classy addition to any wardrobe. 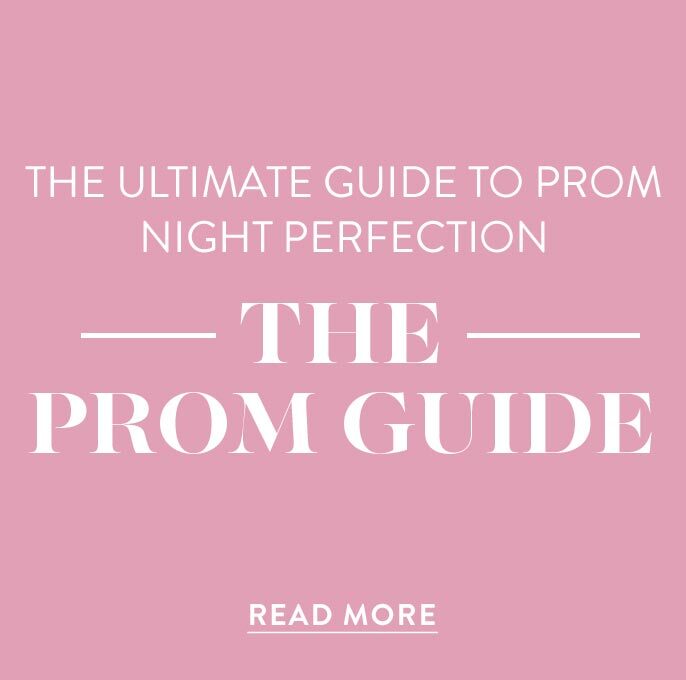 No matter your style, the selection of long formal dresses offered at PromGirl has an option for you.